Over the last year, apartment construction has hit its highest level in 20-years, creating an unprecedented number of multifamily units being delivered into the market. With the added influx of Millennials and Gen-Z renters coming into the market, it is more vital than ever to adjust your marketing strategies, so that your apartment community and its brand can stand out above the rest in this highly competitive arena. What most marketing teams don’t realize is that brand identity extends beyond your apartment community’s logo. Although digital graphics and print materials are important aspects of your marketing plan, you are automatically setting yourself up for failure if you focus solely on images to deliver the essence of your community. You must think of your brand as its own identity, as if it were a person. The embodiment of its character should be consistently mirrored in every facet of your business, allowing prospects and residents the opportunity to become your brand’s friend and establish loyalty; which in turn builds a positive reputation for your brand in the competitive multifamily market. How could an inanimate thing, such as a brand, possibly have a personality? Taken at face value, this is a valid question, but ask any seasoned marketer, and you will discover that a business’ personality plays a crucial role in shaping its unique identity. In order to determine its personality, you first need to identify what qualities set you apart from everyone else. Second, ask yourself how you would want those qualities to be perceived—is your apartment community known for being friendly, charming, contemporary, or innovative? It is through the embodiment of your professed qualities that connections will be made, trust earned, and renters will find a sense of belonging through the relationships that are cultivated. Distinguishing your brand’s personality impacts the look and feel of your property. By embracing your one-of-a-kind qualities, it will be much easier for your leasing team to translate your brand’s personality into comprehensive, relatable marketing strategies. Whether it is represented through your website, brochures, or through any communication with members of your staff, remember that every touchpoint represents your brand. By living up to the promises portrayed through your property’s branding, you can grow prospect and resident trust, as well as build a positive reputation in the market. 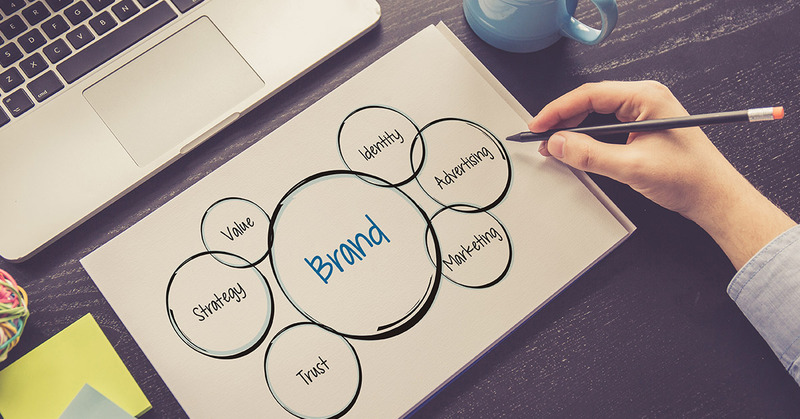 Identifying your brand’s personality is a great way to begin establishing it as a recognizable entity and subsequently, building relationships that lead to achieving loyalty among those that have experienced it. However, scientific studies have proven that people make their decisions based upon emotions and later support their choices based on facts, features, and logic. The heart of a brand can be found in its story, which not only conveys “who” it is, but that it relates to its audience, understands the problems they are facing, and demonstrates the desire to provide solutions to better their lives. When people can connect emotionally with your brand story, they identify more genuinely with who you are and appreciate your company’s purpose. In the end, the heart of your story ultimately revolves around making the lives of your prospects and residents better; how could they not like that? Writing your story need not be an intimidating task. It doesn’t have to tell your entire history, although it should give an insight into your mission and describe the purpose as a company of solving problems in a positive manner. Stories are built through authenticity, and by making your brand one-of-a-kind, it is telling your company’s evolution with a touch of personality. Like with any story, there are three main components: a beginning, a middle, and a successful ending. Just remember to keep it simple. The great thing about stories are that they live on, and in time, you will not be the only one telling yours. Soon, you’ll have other supporters, such as past prospects and renters, who connected emotionally with your story out sharing it too. The consistency of your branding is of utmost importance as it creates the foundation of recognition and trust. Keep in mind that your brand is more than just your logo, website, or marketing strategy; it is also based on how you are perceived, so don’t forget that every touchpoint counts. Marketing strategies must deliver a unified message and deliver on the brand promises throughout the entire resident lifecycle. In every interaction with prospects and residents, it is important to ensure positive experiences and continually nurture brand loyalty. Sometimes, it is easy to get so focused on branding strategies and on locating leads that you completely forget about your internal audience. Don’t forget to ask yourself the following questions: Are you taking the time to train your team members on your brand qualities? Are you explaining what their role is in fulfilling your brand promises? It is just as important for team members to support your brand and stand behind the promises it portrays. By taking time to invest in your team’s on-boarding practices , your team will better understand their role in your apartment community’s branding success. In the busy multifamily market full of competitors, every brand is attempting to stand out. The one thing you do have in your corner is your unique personality and story. A brand is really something much bigger than itself—and in the end, it extends beyond visual assets and it is judged on how you are perceived in the rental market. The personality your brand portrays, the emotional connections it creates through your story, and its overall consistency of positive experiences establishes healthy relationships with your future and existing residents, which secures the success of your brand. Melinda M. Kirby is a leader in the women in technology movement and the ultimate go-to people person. She is the Chief Administrative Officer of 365 Connect, a leading provider of award-winning marketing, leasing, and resident technology platforms for the multifamily housing industry.